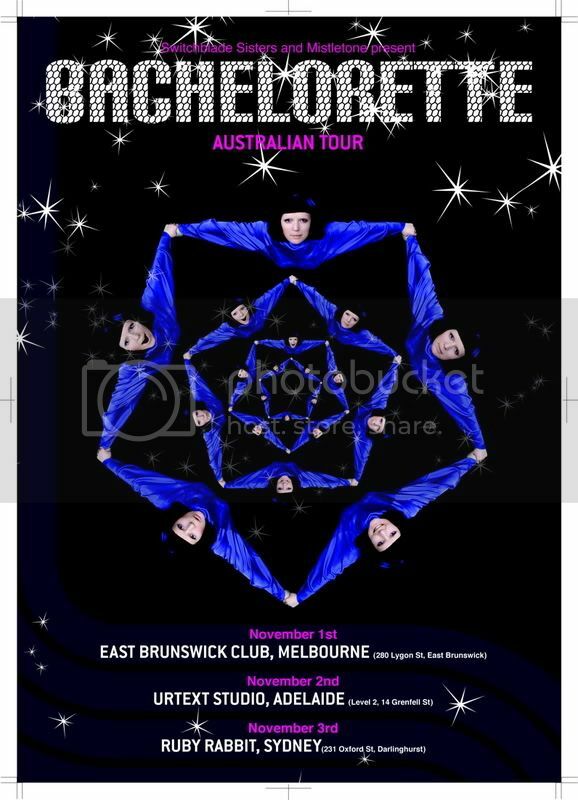 Bachelorette Australian tour 2011 (Melbourne Festival sideshow). Artwork by Bjenny Montero. Bachelorette Australian tour 2010 (supporting The Pains Of Being Pure At Heart + melbourne side show). Artwork by Gloz.